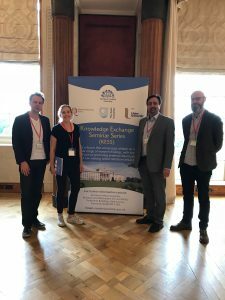 Last week David Coyles, Dr Adrian Grant and Professor Brandon Hamber presented research findings to a Knowledge Exchange Seminar Series (KESS) at Stormont on “Hidden barriers and divisive architecture: the case of Belfast”. The research notes that “peace-walls” are particularly symbolic of the role that architecture plays in separating residential communities and a comprehensive scholarship continues to assess their effects, but the research focuses on other barriers in the city. The presentation outlines original findings from a three-year multi-disciplinary academic research project funded by the Arts and Humanities Research Council (AHRC), which extends this current understanding of physical and social division. 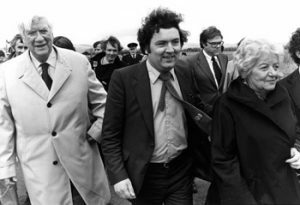 It reveals new evidence of a distinct and important, yet largely unrecognised, body of divisive architecture; an extensive range of ‘hidden barriers’ embedded in various architectural forms across Belfast’s residential communities. You can download the Policy Brief CLICK HERE.